Signing up for a new account somewhere is always a bit of a pain. You may have a basic password that you use for almost every account, but then this one says you need something that’s 16 characters long with three numbers, a capital letter and a symbol. How are you going to remember all of that, and how are you going to remember that this is one of the accounts where your password is Olympiu$998 instead of just olympius? Although these password measures are intended to make your account more secure, they can have the opposite effect, simply because you need to write those complicated passwords down somewhere so that you don’t forget them. Base your password on a secret. People can look up your date of birth, and they can ask you what your dog’s name is. Yet, they might not know the name of your first crush, how old you were the first time you stole your dad’s car, or which Backstreet Boys song you secretly listen to when you’re alone. If you base your password on personal information, make sure it’s not personal information that is available online or something that could be guessed easily. If you have to write your passwords down, don’t write them down in an unencrypted file on your computer, and don’t keep a list in your wallet. An encrypted file with a password that you can remember is a safe place to keep your codes, or you can stash them in a notepad somewhere private and secure, like a lockbox. If you like to use one password for everything, it is important to switch it up every now and then. Maybe you can’t remember a list of thirty two passwords for everything you have to log into online, but you should change that skeleton-key password once every six months. Of course, one of the easiest ways to keep all of your passwords safe is with a password manager. There are apps that can sync with a smartphone and with the cloud, and can even auto-generate passwords for you so that you don’t need to worry about it. Once you log into your password manager, it will log you into everything else for you. 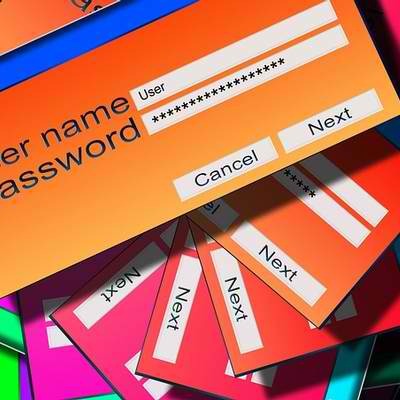 By following these tips, your online passwords will stay secure. If you are looking to add another layer of security when you’re online, contact us at 860-589-3434 to learn about identity protection coverage.